There are 27 reviews of Vanderbilt. I saw it at the supermarket so I didn’t think much of it. It’s actually good, with a lot of tuberose and a vintage feel. Some powdery cleanness. A bargain. Orange blossom and tuberose ride in on a gentle wave of aldehydes where they meet fresh green and citrus with a pineapple accent. A praline accord fills the space underneath with a quite neutral and slightly oily hazelnut paste, and this sits opposite a dry lightly spiced tobacco leaf. There is a vague hairspray ambience, as though someone has done their hair ready for an evening out before spraying on the Vanderbilt. Being a floriental its a night time scent, more at home in a cosy cuddle than daily routines. Its soft, very feminine, and may be a bit cloying when the drier and spicy sides demur to its pink sweetness. As the intro unfurls towards the more stable body accords it feels a bit uneven from time to time. Then, when it does become fully established, the profile boils down to a sweet pink light rosy floral with strong orange flower and tuberose accents over a layer of tobacco, set on a great dry woody tinged oriental base that lasts and lasts. 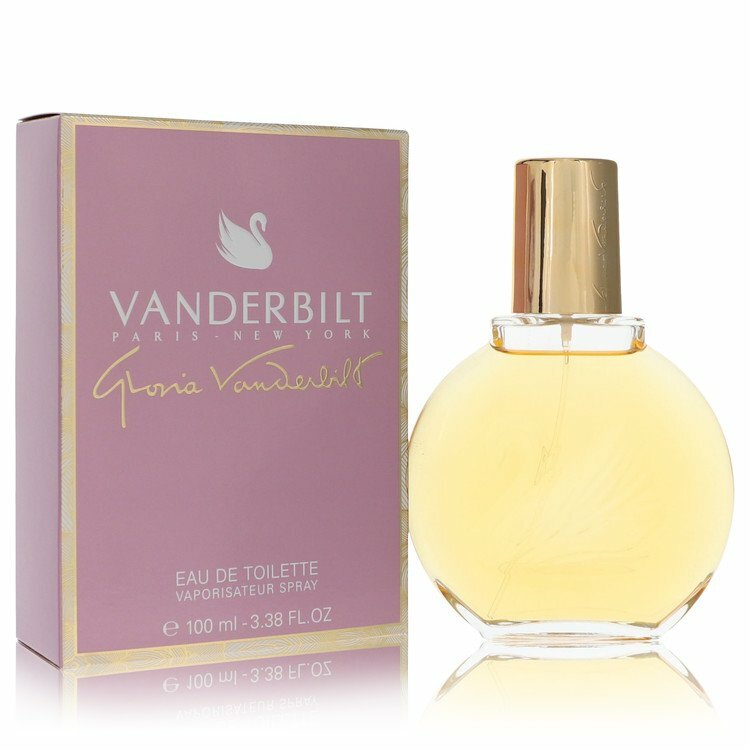 Vanderbilt takes a lead from one of the biggest phenomena of seventies perfumery. A construction similar to Charlie's aldehydic head of hyacinth / cyclamen / muguet is used, but in Vanderbilt its pushed into the background. The melon and plasticky leather heart which dominates Charlie is replaced by a heavier praline note, and Charlie's almost indiscernible spice is boosted up. The same high pitched riff is played by both, but in Vanderbilt its almost hidden by the backing band. It's instructive to compare the Vanderbilt note pyramid on another perfume review site with the pyramid for Charlie on Wikipedia. Given the similarities in head and base notes, you could be forgiven for being surprised by how different they actually smell. Vanderbilt also differs in its level of sophistication; its technically way ahead of the rather cheap pragmatism of Charlie, at least in the samples I am comparing where Charlie may be a reformulation. Being an oriental, the bottom half of Vanderbilt's profile can be interpreted as a reference to another game changing seventies smash, one that couldn't be ignored. Vanderbilt uses the spices and opoponax oriental base of Opium but tones them right down. What we have is a structure that takes the rather functional blasé notes of Charlie, and an Opium-Lite style of oriental base and employs them in a characteristically Sophia Grojsman type soft rose-centred floral. Perfume is a sign of the times like any cultural product and this one reflects the eclectic flux of fashions that were around in the early eighties. Trainers (sneakers) appeared for the first time, headbands and sports gear, unisex clothes for women; big jumpers, trench coats, and Gloria Vanderbilt's pioneering brand of figure hugging jeans of course. All of this ran in parallel with a continuing seventies legacy of flowing, more traditionally feminine clothes made in natural fibres and muted colours. 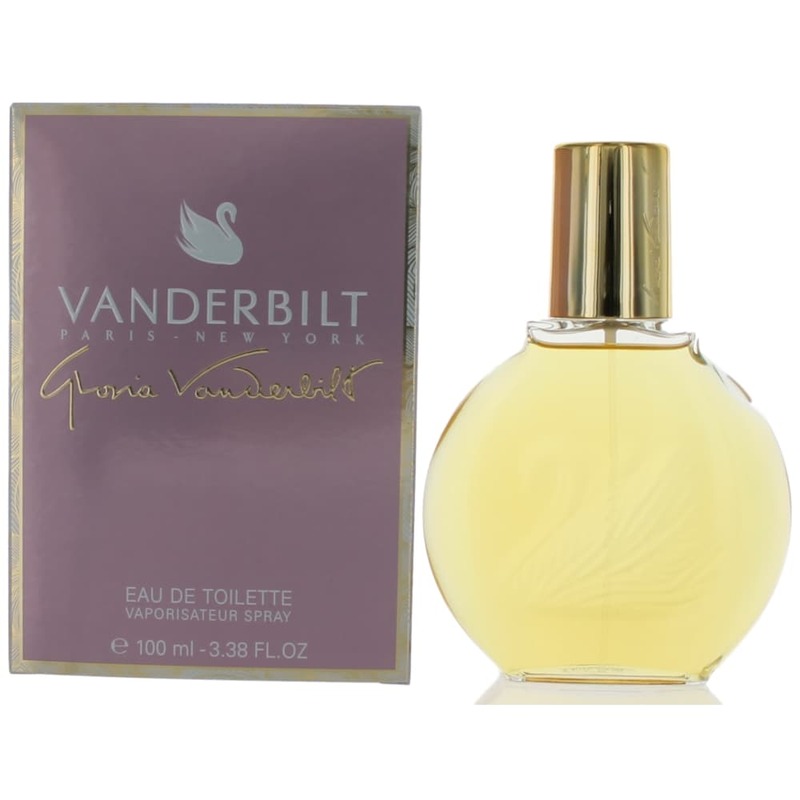 Vanderbilt the perfume reflects this fashion milieu with its elements of the conservative oriental form that represent traditional seventies currents, and it also quotes the new paradigm of Charlie's cool aldehydic floral, co-opted as a symbol of the modern styles emerging in the eighties. This L'Oreal product is pretty, well crafted and the makers were canny enough to give it the right moves. It was a big hit in its day, but its character is now at odds with current taste. By the standards of today's market (ie. what is sold on the high street,) Vanderbilt is heavy and over mature; its style rather passé. Even so, it remains stubbornly popular. French supermarkets still sell it in box sets at Christmas, and that's proof of lasting appeal if ever there was one. As I see it, Vanderbilt lies at the juncture of two paths Sophia Grojsman pursued for decades: the antiseptic green soapy florals of White Linen, and the sweet fruity chypre style of Yvresse, Trésor, and Calyx. After a brief flash of sweet bergamot, Vanderbilt fires off a barrage of bitter green notes, crisp white flowers and intense aldehydes, which together smell a bit like Ivory soap – only much, much louder. Alongside these arise an array of spices and sweet resins, plus some vanilla and a hint of Grojsman’s signature fruity lactones. Though the aldehydes subside somewhat after fifteen or twenty minutes of wear, the green floral accord retains a starched, soapy quality that stands in stark contrast to the sweetness of cinnamon, opoponax and vanilla. The construct is floral oriental, but in this case the “floral” and the “oriental” are not so much melded together as set side-by-side. The internal tension between its two unreconciled and contrasting olfactory masses invests Vanderbilt with an enlivening interest, but I can’t help feeling that the clever idea is let down in the execution. The floral accord grows disturbingly chemical over time, eventually approaching solid air freshener in quality, while the sterile white musk, vanilla, and soapy rose drydown offers none of the warmth promised by the civet in the pyramid. The composition winds up smelling cheap, threadbare and more unfriendly than elegant. Wore this in the 1980s when I first joined the work force and didn't have any money, but didn't want to smell like it. I loved it then, love it still, and keep a small bottle among my more expensive fragrances. Still get plenty of compliments on it, too. Clean, slightly soapy, good for year-round wear. The iconic swan-fronted bottle of 80's vintage Vanderbilt found its way into my life through a bundle deal of old perfumes I bought at an antique store last week. They gave it to me for free among my little bottles of vintage Youth Dew, L'Aimant by Coty from the 30's?, a tiny old Chamade and a very retro Chantilly by Houbigant. I almost threw this one away. Then, I scrunched up my face and tried a tiny bit in the air. My husband, a room away, and knowing I was writing about my latest perfume finds, came to the door and said, "Yum, that cinnamon smells so good." He hates most perfumes. But he loves a few. He liked this one. He even got the slightly green astrigent smell when he came in the room. No idea how this dries down, but there seems to be a solid structure here, and given its maker, it is no wonder. That will teach me to be all snobby about my odd perfume finds!